One way or the other, you must have overheard what people are saying about the Samsung Galaxy Note 9, well you are welcomed to join the conversation. This are still rumors though but will be updated as soon as the device is released. What are the Samsung Galaxy Note 9 Specs? The Samsung Galaxy S Pen is rumored to possess amazing and mind blowing features. The S Pen likely will use Bluetooth, thus you can access your phone camera, presentations and apps even without touching your phone". This implies that the pen will be powered by battery and will need charging. How will the S Pen get charged? Perhaps, the S Pen could get charged each time it's inside the Note 9 phone. We'll Find out more as soon as it get released! The Samsung Note Series has maintained a steady increase in price over the years, and this year won't be an exception. The Samsung Galaxy Note 8 cost about $950, Galaxy Note 9 is expected to cost more. We should expect about $1,000 and above. 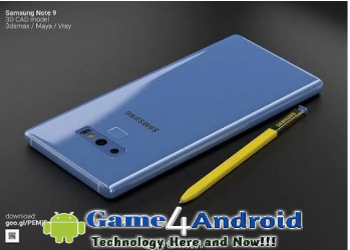 Where to buy Samsung Galaxy Note 9? Once the device is released, it'll be available on online stores such as Amazon, Aliexpress, Jumia, Konga, etc. Immediately the device is released, we'll update our site, so just check back or follow us on FB or Twitter to get updated. Remember these are rumors, I'll be glad to hear from you!